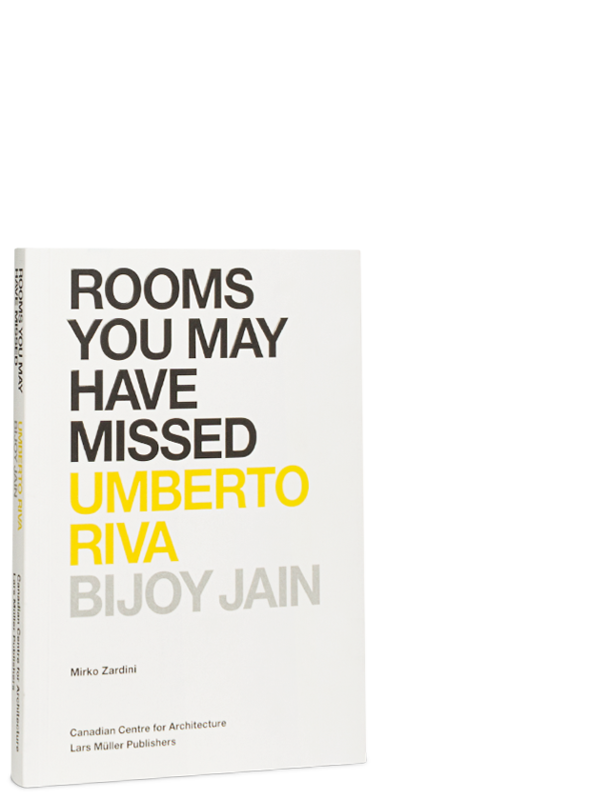 Rooms You May Have Missed: Bijoy Jain, Umberto Riva is an unexpected story of architectural attitudes that starts unfolding from the interior. The book pairs two architects operating in distinctive contexts, Mumbai and Milan, in order to uncover new possibilities for ways of conceiving and producing space. Through a personal narrative that pulls from building visits and ongoing conversations, Mirko Zardini—curator of an accompanying exhibition at the Canadian Centre for Architecture—interprets each architect’s motivations and preoccupations and finds unlikely resonance in their complementary approaches. The two architects are brought together at the book’s centre in photographs of the exhibition, for which they were each asked to create an exhibition design evoking the atmosphere of their domestic projects. 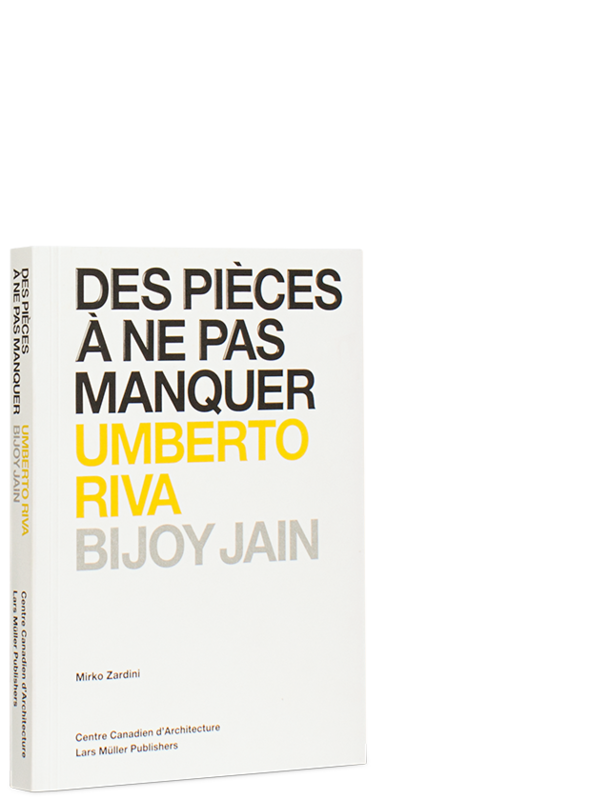 The book also contains extensive visual material, including rich, rarely published drawings by Riva and in-progress documentation of Jain’s most recent projects and research.